Home » books » J. Crew U.
I was in my local J. Crew in New Canaan over the weekend doing a little back to school shopping with my daughter. The fall collection is just starting to come in and there were so many fabulous things, but what really caught my eye was the new merchandising in the store. 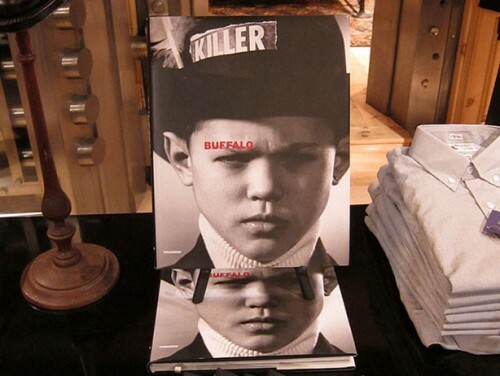 There were books everywhere – not just the latest style books, which they occasionally feature, but really great art, photography and design books that store director Steven Plewa and his staff had artfully placed throughout. Maybe J. Crew is starting a trend in promoting art education as well as style. I know in the spring, at their lower Fifth Avenue store in NYC, they hosted a party for Teach for America, the very worthy organization which enlists young college graduates to teach for two years in urban and rural public schools. The theme even included many books inside out (ie – spines facing the wall) for decoration. But of course what interested me were the featured art books, all beautiful, many fairly serious, all for sale. It was an impressive assortment. And check out the book on the bottom in the photo above :-) look familiar? Ruth Parsons, the very talented Senior Director Creative Services was kind enough to fill me in on the genesis of book display at J. Crew. All the books are actually hand picked and chosen for both content and visual appeal – how they complement both the J. Crew aesthetic and the merchandise. 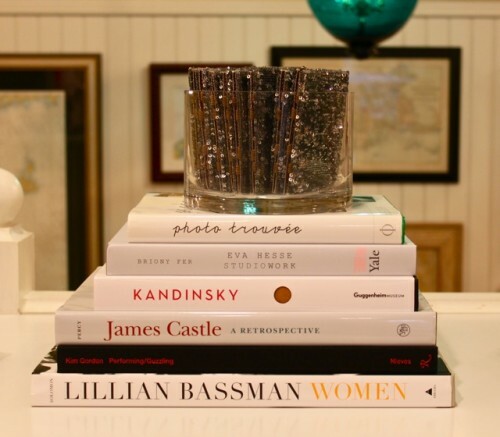 The inspiration starts with the designers and the books they use when creating the collections. 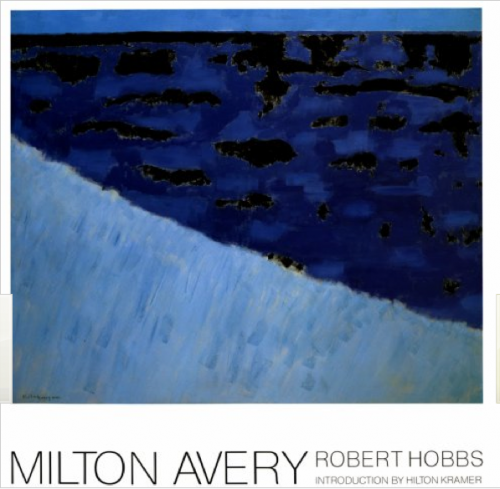 They will reference volumes relating to anything from painting and photography to architecture or nature. Selections are even made for specific locations – Miami being different than Aspen for example. Not every store is a cookie cutter copy of the next and that’s what keeps it interesting. In case it hasn’t hit home yet, we are talking about a lot of time, effort and creative cross referencing. This is an exercise of both mind and eye – but we already knew J. Crew was thinking this way – that’s one of the many reasons we like them. 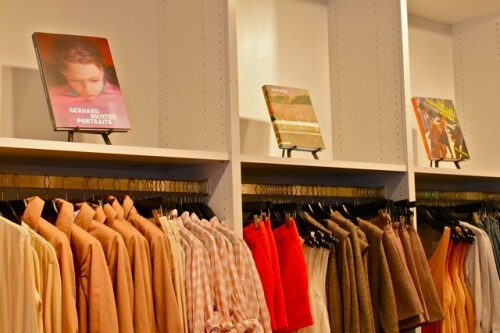 The books play an even more important role in the specialty stores, such as the men’s Liquor Store in Tribeca and the new men’s store on Madison Avenue. These stores carry not only new books but also rare and out of print ones. 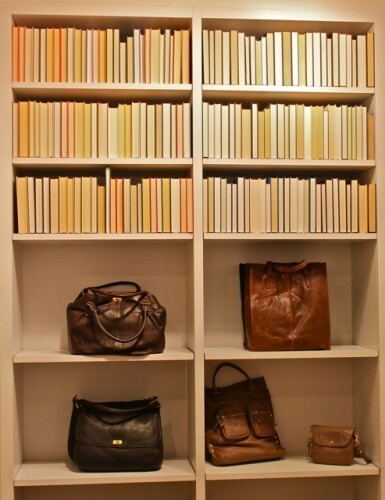 Frank Muytjens, the VP of men’s design, is passionate about books and will often hand pick books for the men’s stores. 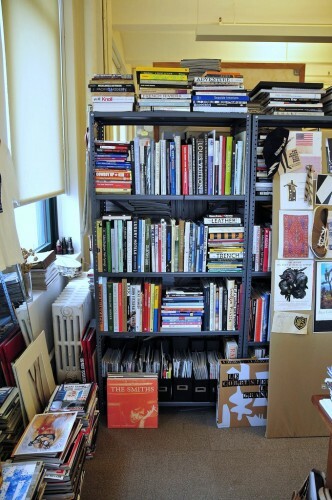 His book-filled office below (courtesy of A Continuous Lean). And Ruth is a book fanatic as well. 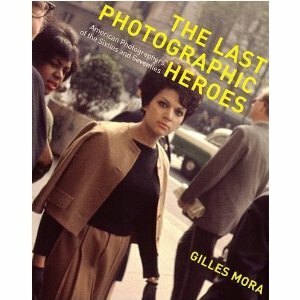 She explained “I’ve personally been an avid collector of vintage books for years, especially those with covers by Paul Rand or Alvin Lustig, as well as Penguin and New Directions paperbacks”. This is truly a women of style and substance – for those of you not familiar, both of these men are LEGENDS of modern graphic design. And Lustig, in particular, believed, like the people at J. Crew, and probably all of you reading this, in the power of good design to influence and affect all aspects of life. As an aside, anyone who is interested in modern design (aren’t we all?) 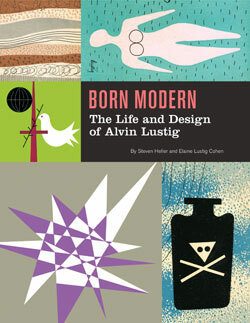 will want to put the new book on Lustig coming out next month on their list. But I digress. Now before I over-intellectualize their endeavors, J. Crew’s goal is of course to sell and there are certainly many customers who simply like their stuff and don’t care about any of this. But I love it. I love knowing that Ruth and Frank and I’m sure others on staff are infusing both the collections and the merchandising with an educated and enlightened point of view. Knowing this little back story makes me like them even more. So for any of you who might have thought J. Crew was just another flirty fashion brand for the young at heart – think again. They’re going for icon status. This entry posted in art, books, design, fashion, J. Crew, learning, photography. Entry Tags: Frank Muytens, J. Crew, J. Crew Liquor Store, J. 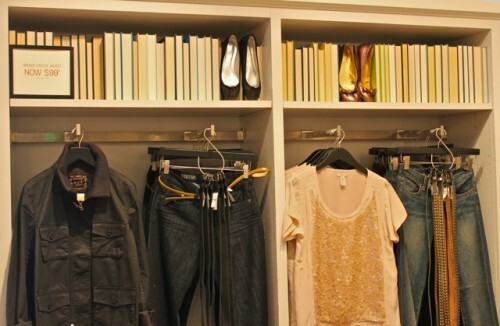 Crew Men's Shop, Photography Books, Ruth Parsons Bookmark the permalink. One Response to J. Crew U. While in the Lenox Square J. Crew store in Atlanta, Ga., I noticed a photography book, and the title has slipped my mind. All I can remember is “Evans”? Can you tell me the list of books in that store so that I might find that particular book? THANK YOU VERY MUCH!! 80 queries in 0.527 seconds.